Christmas is the time of joy, magic, decorated homes, plenty of presents and the perpetual wait for the Santa to arrive. To bring alive the excitement around Christmas, Ferrero Rocher will launch an entire consumer experience led primarily by Instagram and Facebook with everyday activities and task for the users to partake in and win exciting prizes. Ferrero Rocher will create a panoramic shot of a room that embodies the spirit of Christmas. The panorama will be put out in tiles of three each day, starting on the 19th December and ending on the 25th of December. The 7 days of Christmas idea will also be implemented on Facebook with seven different contests that will keep users engaged and coming back for more. Talking about the digital initiative, Emanuele Fiordalisi, Vice-President, Marketing Ferrero India said “Engaging piece of interactive advertising has worked to connect with our consumers. With this digital activity, our aim is to build the Christmas spirit and make a memorable golden experience of joy with the people they love”. 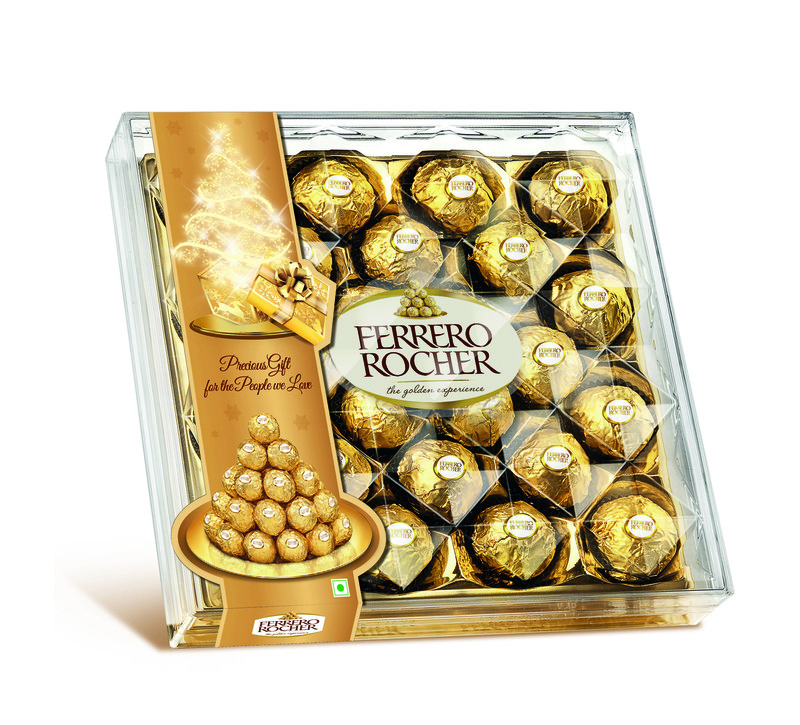 Ferrero Rocher will also be doing special visibility in selected Modern Trade stores in markets like Mumbai, Delhi, Bangalore and Kochi with special packs that embodies the joy of Christmas that will be available across India. The packs available for sale includes: the perfect little treat pack of 5 pralines, the iconic sharing pack of 16 pralines and the iconic gifting pack of 24 pralines.